Qatari media outlet Alkass Channel, who we know nothing about apart from that they have over half a million followers on Twitter, are claiming Liverpool are back in for, you guessed it, Nabil Fekir! They’re suggesting we’re going to go in for Lyon’s captain again this January, having already offloaded Dom Solanke. 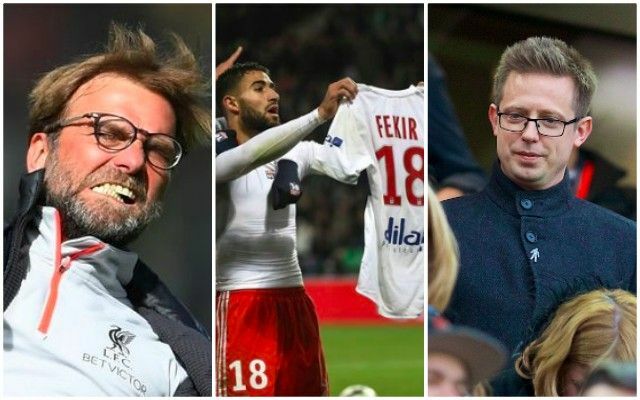 All the respected journalists of note have confirmed to us that Liverpool have ZERO interest in Nabil Fekir anymore, but the Frenchman was recently left out of Lyon’s latest squad despite not being injured, which has naturally got everybody talking again. We’re covering the story because it’s currently the talk of the internet, but in reality, there isn’t much to report. We think the original claim is bogus and have it on the best authority that we simply don’t want the player anymore. After all, if we did – we’d have signed him in the summer – wouldn’t we?! There’ll be no major incomings this January. We simply don’t need anybody.